Last Friday night, after wrapping up the day and making sure my newsletter hit your inboxes, I decided to take a bit of my own advice and initiated a 24 hour digital detox. In fact, I had just posted last week about feeling social media burnout and overwhelm, so a digital detox was in order. When I reconnected my digital devices Saturday evening, my text messages, news feeds and voicemails were full of comments like, “UCSB tragedy.” I am a proud UC Santa Barbara alumna, a very proud Gaucho. I was horrified by what happened on our campus and in the UCSB community. Isla Vista is as much a part of campus as the UCen (University Center). As my feelings of shock became deep, deep sorrow and sadness for the students who were killed and injured, and for the story of how the events unfolded, I became very grateful for our ability to connect and communicate via social media. In fact, the world responded with powerful messages because of what happened in Isla Vista. This week’s video message expresses my gratitude for social media and digital communication tools, for the opportunity to connect with anyone in the world, and for having a means to know that the people I care about are going to be all right. UCSB Gauchos are a strong breed of people. 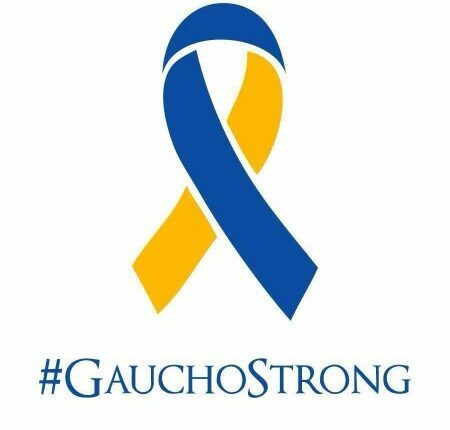 We are UCSB, we are #GauchoStrong. And partially because we have social channels to connect through, discuss, grieve, talk, support and love, we will get through this. Go Gauchos! Back in January, I challenged all of you (me too) to a Daily Digital Detox. With a goal to enrich our communication and in-person conversations and experiences, I also wanted to help you avoid social media burnout. I often hear from the students I speak with, and more from the entrepreneurs and business owners, who are members at the clubs I consult with, that people feel overwhelmed with social media. We feel a need to be on all channels and participating in every conversation. Certainly, there are heaps of social media choices. Naming just the “main” platforms you have Facebook, Twitter, LinkedIn, Pinterest, YouTube, Instagram, Tumblr, and Google+. That’s eight! Even with helpful social media management tools like Hootsuite, that’s a lot of conversations to manage! When you start to add other popular apps like Vine and Snapchat, consider the time to manage e-mail and texting, utilizing Skype and …. overwhelm! Even I, a chicka who loves the opportunity social media provides to connect and communicate with just about anyone in the world, feel burn out on occasion, too. If you want to be more effective in your personal communication, in growing your personal brand and creating meaningful connections online, this week’s video is for you. Not only do I tell you that’s it’s OK not to be on all channels, but I tell you how to pick the one or two (yes – 1 or 2) channels which are right for you. You simply have to think about your audience, about which channel suits your style of communication and where your efforts will truly pay off. Ages ago, I gave up Google+ because I wasn’t engaging enough on the site. I wasn’t making the connections like I was on Twitter and I simply didn’t enjoy being there. So I stopped. And you know what? The effort I was putting into G+ was redirected into Twitter and LinkedIn, where I enjoy being and gain a lot more traction in my conversations and connections. I encourage you to cut out the social media activity that feels like a chore and focus your energy and time toward the channels which reward you with great conversations, meaningful connections and greater exposure. Let me know which channels you chose! This week in San Diego, it was hot, dry and a bit out of control. Fires started burning on Tuesday and by Wednesday there were nine separate fires burning throughout San Diego County. A shout out to San Diego and out-of-town firefighters. They have been doing an incredible job fighting multiple big fires in record heat and high Santa Ana winds, keeping life and structure loss to a minimum. What a missed opportunity! Private club professionals all know that in the course of a day, there could be any number of events happening, from casual lunch meetings to golf tournaments, and various-sized private events. When a club is forced to evacuate, events are cancelled, roads are closed, no one is at the club to answer phones, etc. How do you let your members, guests, staff and community know? Do you have a communication plan in place? Another club which had been threatened by fire did post to Facebook the day after, letting members know what had been cancelled, what was open/closed and that there was no damage. The only problem was that the club had not posted anything since January, so members were highly unlikely to see the post. We have to recognize that our members are online. They access the internet via their mobile devices, and once online, they seek news and information via their favorite sites, and through social media. If the club is not communicating where the members are seeking and receiving information, we are missing the opportunity to serve as a valuable resource to our Members. While it is understood that a club evacuation is rare, it is still essential for us to have a communication plan in place, for our monthly, weekly, daily messages and in times of crisis. The club which was evacuated was clearly unprepared, was unhelpful to members and guests, and rendered themselves irrelevant as a resource. I’ve included a few more tips and advice in the video (above), so please have a look! Quick note: What you can see in the screenshot is my laptop on a table. That’s what I’m looking at when I’m referencing what was happening online! I wanted to let you know because in the editing process, I realized I was looking at my computer screen often, but you can’t see my laptop!